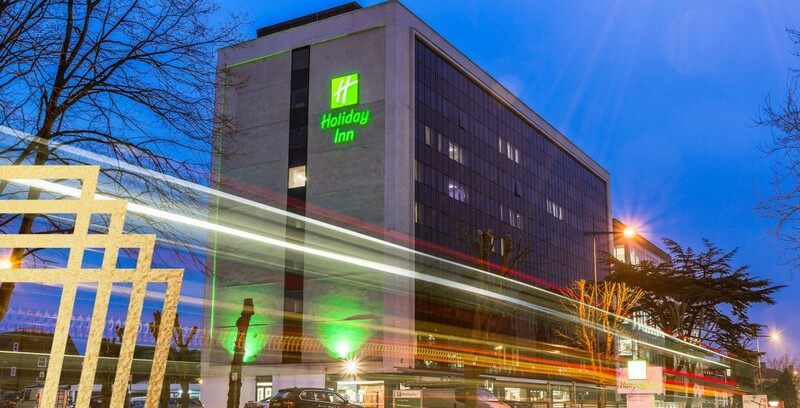 The contemporary Holiday Inn® London – Watford Junction hotel offers 93 rooms with free WiFi and a colorful open lobby housing a bar, a Starbucks coffee shop and a restaurant. 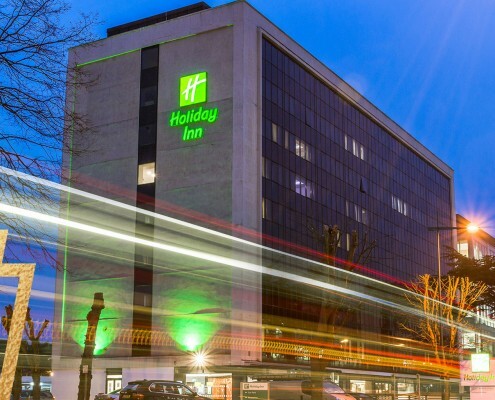 The hotel is perfectly placed inside London’s M25 orbital motorway, 10 minutes’ drive from the M1, right on Clarendon Road, close to major businesses. Direct trains from Watford Junction station, two minutes’ walk away, reach London Euston in 20 minutes. You can drive to both Heathrow Airport (LHR) and London Luton Airport (LTN) in around half an hour. Watford town center is walking distance away, so you can reach the Intu Watford shopping center or the Watford Palace Theatre in 10 minutes. You can get some fresh air at the nature reserve inCassiobury Park, 20 minutes’ walk away. Watford FC‘s Vicarage Road stadium is 10 minutes away by car. You can host up to 60 guests in the hotel’s conference room, which has free Wi-Fi, air conditioning and a large screen for video meetings. 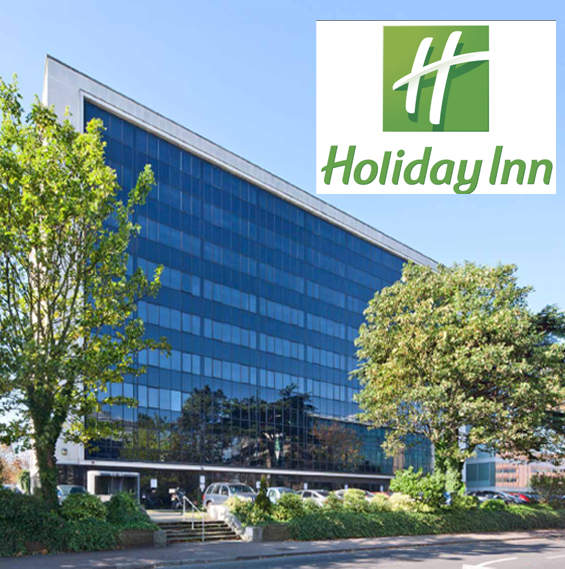 You can park for a low price and walk to businesses such as TK Maxx, KPMG and Elavon on the same road as the hotel. Relax in the hotel’s colorful open-plan lobby and grab a coffee with friends, or order a glass of wine from the bar to drink by the fireplace or on the patio outside. If you’re hungry after a workout at the mini-gym, classic British meals are available from an all-day menu, whether you need breakfast, dinner or a midnight snack. Kids stay and eat free.